The concept of limit of a function is the most important of all calculus. It is used to define derivation and integration, which are the main ideas of calculus. To make it simple, the limit of a function is what the function "approaches" when the input (the variable "x" in most cases) approaches a specific value. 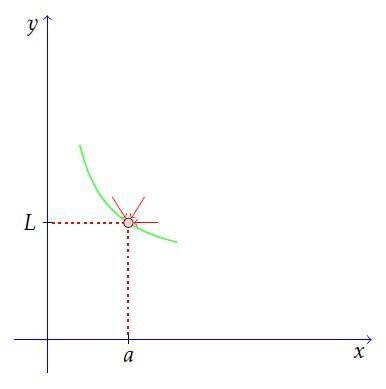 As the variable x approaches a, the function f(x) approaches L.
Is the limit of a function useful? Very good question. It is indeed useful. Many times we find functions that are undefined at certain values. This means that the function equals something like 0/0, or infinity over infinity for specific values of "x". We don't know what those expressions mean! Using limits, however, we can know what the function is approaching when the variable "x" approaches that value. We don't need to care whether or not the function is defined at that point. You'll understand this better with more examples on the page about solving limits. The function clearly approaches 3, right? Let's see what happens if x approaches 1, but takes values greater than one. g(x) doesn't have an "x", so it is constant. This means its value is six, no matter what the "x" is. What will happen if we add these functions and try to find the limit? The first one is that the limit of the sum of two or more functions equals the sum of the limits of each function. The second one is that the limit of a constant equals the same constant. By a "constant" we mean any number. We used another important property of the limit of a function. Can you see which one? The limit of the product of two or more functions equals the product of the limits of each function. In this example we used all the properties we learned. Using these you can solve many simple limits. At first, you should think what properties you are using to solve your limits. But as you practice more, you'll see that you can simply replace "x" for the value it is approaching. The concept of limit is central in calculus. 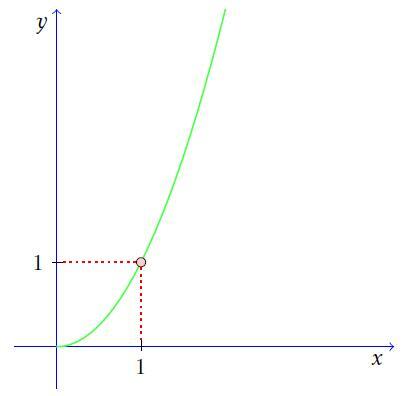 The limit of a function is what the function approaches when "x" approaches a specific value. The limit of a sum equals the sum of the limits. The limit of a product equals the product of the limits. The limit of a quotient equals the quotient of the limits. Many times you can simply replace "x" by the value it is approaching to solve limits. Do you have a doubt, or want some help with a problem? Leave a comment in the box below. Just want to thank and congrats you beacuase this project is really noble. Thank you very much. THANKS FOR ALL THE INFORMATION THAT YOU HAVE PROVIDED. IT CHANGED MY PERCEPTION TOWARD CALCULUS, AND BELIEVE ME WHEN I SAY THAT CALCULUS HAS TURNED TO BE MY CHEAPEST UNIT. THANKS ONCE AGAIN.